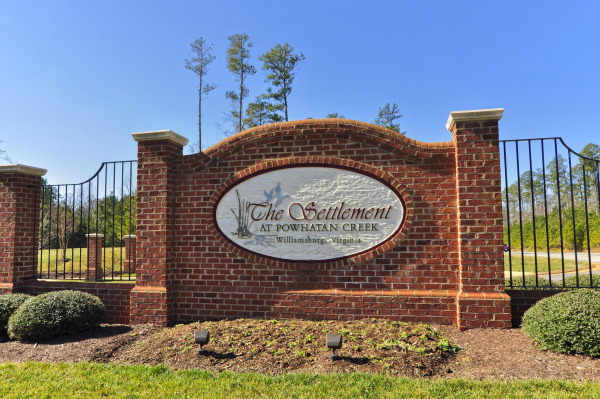 As far as Active Adult Communities in Williamsburg, the Settlement at Powhatan Creek is one of the most popular. The natural, relaxed setting has dedicated 70% of its 225 acres to green space and preserved freshwater wetlands. Just off the convenient Monticello corridor, the Settlement at Powhatan Creek is centrally located just minutes from Mid County Park, New Town, shopping and plenty of restaurants. 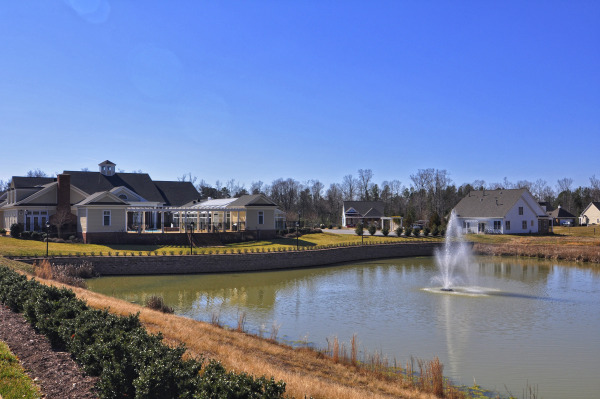 Money Magazine ranks Williamsburg in the top five areas in the USA to retire, and the Settlement at Powhatan Creek is one of the most sought after addresses for retirees in Williamsburg. The centerpiece of this Williamsburg active adult community is a 15,000 square foot luxury resident’s club, which overlooks a pond, and is complete with an indoor and outdoor swimming pool, ballroom, fitness room, billiards lounge and additional activity rooms for neighborhood residents and their families and guests. A full-time activities director oversees club operations, organizes neighborhood clubs and interest groups, schedules educational and instructional classes, and plans trips and events. If you’re a golfer, The Settlement at Powhatan Creek is affiliated with the Williamsburg National Golf Club, less than a mile away. The club has two championship 18-hole courses designed by Jack Nicklaus and Tom Clark. Residents of the Settlement are offered special membership incentives, including an initiation fee of only $4,000. Low maintenance, quality built homes with all the features you’re looking for…all at an affordable price. All of the floor plans provide first floor living and attached garages. Affordable monthly fees include all of the exterior maintenance of your home and grounds – so you can simply turn the key in the door and go! Monthly fees include roof replacement, exterior home care, lawn care, irrigation system maintenance, full use of the Residents' Club as well as providing a secured community. If you’re looking for a 55+, active adult community in Williamsburg, then don’t miss homes for sale in The Settlement at Powhatan Creek! Get the Scoop on this neighborhood and receive new listings straight to your inbox.